but while using 3g u wont have that prob. dinesh, 17 Feb 2012Have u received calls when u are downloading? coz m planning to buy this one next month. hi dinesh.! I use this phone from last 2 months. This phone is excellent. But truly speaking when iam on internet and downloading is on iam not able to receive any call or msg the same problems u get in lg and htc phones also. Better go for any other android phone brand. hey guys! 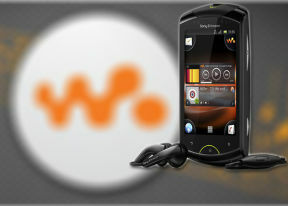 i'm using dis phone from 2nd february. i've downloaded many apps from market. heard that its battery life is very low while using internet? does any one know about it? what is the camera quality?is it better than nokia x6? g, 17 Feb 2012Good Phone...That might be because of your operator problemHave u received calls when u are downloading? coz m planning to buy this one next month. phone is awesome ,,every thing works brilliantly..its a mini version of xperia neo v ,with smaller screen but every thing inside is same. Can i do voice chat by fring or viber with this phone? edward LT, 16 Feb 2012used about one day and none of rstarting problems (:Do u mean that u r having restarting problems?? i have read comments that people face problem of incoming calls when they are using internet on mobile. I want to know does this happen when you are using gprs on mobile or when your have connected the mobile as modem to computer or in both the cases. I want to know this because i use aircel or uninor gprs only on mobile and if the problem of incoming calls does not occur when using gprs on mobile, then i will buy this mobile. KMN Muhammad Ismail, 16 Feb 2012Can you please tell me, of which corner the button is located and what is the name the button?creat a new message, the icon is like a wrench, on your keyboard there is an icon at the bottom right of it..